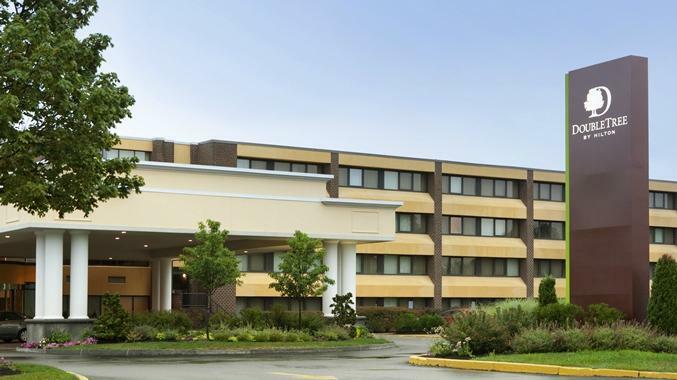 This year, Intercon moves to the DoubleTree by Hilton in Westborough, Massachusetts! The DoubleTree is conveniently located just off Route 9 West in Westborough. Take the exit for Computer Drive and bear right off the exit ramp. The hotel will be on your left. If you prefer phone, you can call the DoubleTree at (508) 366-5511. The room block code is "Intercon" or "Intercon P". Please give this code when you call the DoubleTree. Note: suites are not available at the DoubleTree. There is only one suite in the hotel (the Presidential Suite) and Intercon is reserving it for game space. The DoubleTree web site may show you a suite as an option, but you will not be able to reserve it. These rates cover up to 4 people per room. If you make a reservation for more than 4 people, you may be charged additional fees. The convention runs from Friday, 19-Feb-2016 to Sunday, 21-Feb-2016. Notice of cancellation must be made at least 24 hours prior to 3:00 PM on the date of expected arrival. If there are any problems or questions, please feel free to send email to our Hotel Liaison. The hotel allows up to four people to occupy a room. Please do not exceed this. ADA-accessible rooms are available on request. The DoubleTree is a non-smoking hotel. Why reserve in the Intercon block? We know it may be possible to get a slightly cheaper hotel rate by booking outside the Intercon room block. If you want to do that, we totally understand! But we'd really appreciate it if you could reserve a room within the block, because we've made a guarantee to the hotel for a number of room nights. In addition, each room night booked reduces Intercon's function space cost by $10, which lets us improve the convention in many ways, and helps fund the other cool LARP-related things we do. Intercon rents all the conference space available in the hotel. Conference space layout will be posted soon.